Proprietary Trading firm is currently seeking an experienced Quant Developer to work on the development of a high frequency trading platform and the implementation of the quantitative strategies. The successful candidate should have superb C++ skills on a UNIX platform, Multi-threading , Socket Programming and algorithms. You should have previously worked on an Electronic Trading system and have some quantitative exposure. Good mathematical, quantitative and problem solving skills are also required. Your academic background should include a Bachelors/Master in a numerate subject - Mathematics, Engineering or Computer Science. Candidates who hold a Ph.D would have a distinct advantage. Responsible for software development activities to include front-end FX trading application software development and testing. Required to translate business requirements into working production quality software in a Microsoft Windows environment through standard software development practices. Will work closely with existing developers to identify opportunities to re-use the current code base. 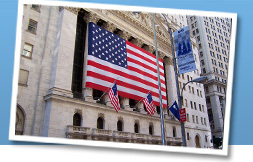 Extensive development and hands-on experience in the financial markets. The successful candidate will demonstrate strong technical aptitude and be detail oriented.